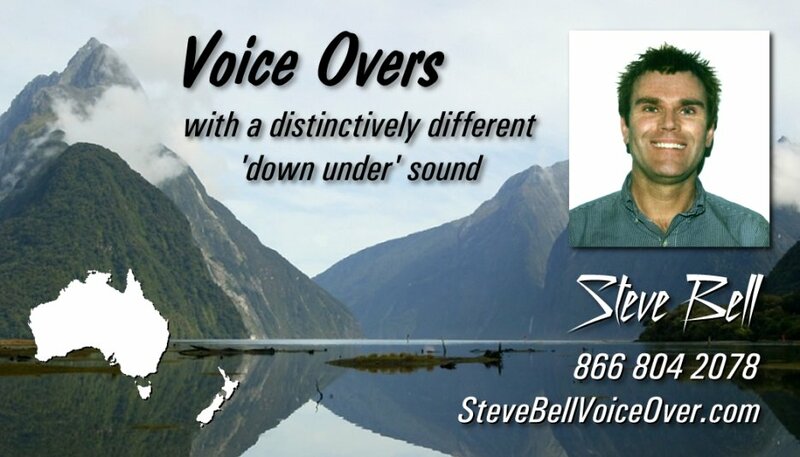 There are many different voice over artists, all with their own distinct sound. Different sounds and styles suit different markets and applications. In my case I was born in New Zealand to English parents, and I have been living in the United States now for a number of years. Everywhere I go people comment on my voice and ask me where I am from. In the past there was more of a standardized traditional 'radio voice' used for advertising. Now it is much more varied. The point is to have a sound that appeals to your target audience. Who would've thought that having an computer animated gecko with a British accent was the best way to sell insurance in the United States, or a quirky Australian crocodile hunter would get a whole new generation of American children interested in wildlife? Take a listen to my demos, and if you think I'm the right voice for your project then let me know.